Suffice it to say, you haven't seen a fanatic until you've seen a Soul Cycle fanatic. Up for a 6 a.m. class, standing outside of a location after being wait-listed, decked in warrior gear, and now polished from nail to toe (literally! ), the Soul Cycle girl is not too hard to spot. Yes, the cult(ish) workout phenom is now launching its very first nail polish through TenOverTen, and with it, yet another way to show bike pride. This emblem of inclusion comes in the form of a bright yellow laquer (the studio's signature color) with a pearlescent shimmer. The bottle retails for $15 and will be available at all locations in September. And, bonus: The glaze is so bright we bet that when they turn those lights down low and start pumping the mega-mix, the instructor will be able to tell whose hands are correctly positioned (and whose aren't!). Coincidence? Nah, we all know Soul Cycle's way too smart for that. 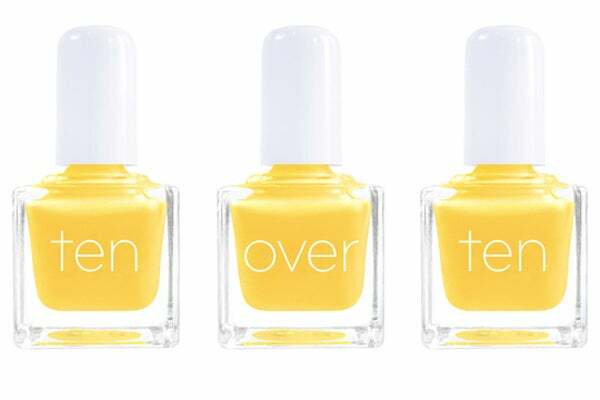 Soul Cycle by TenOverTen Nail Polish, $15, available at various Soul Cycle locations in September.